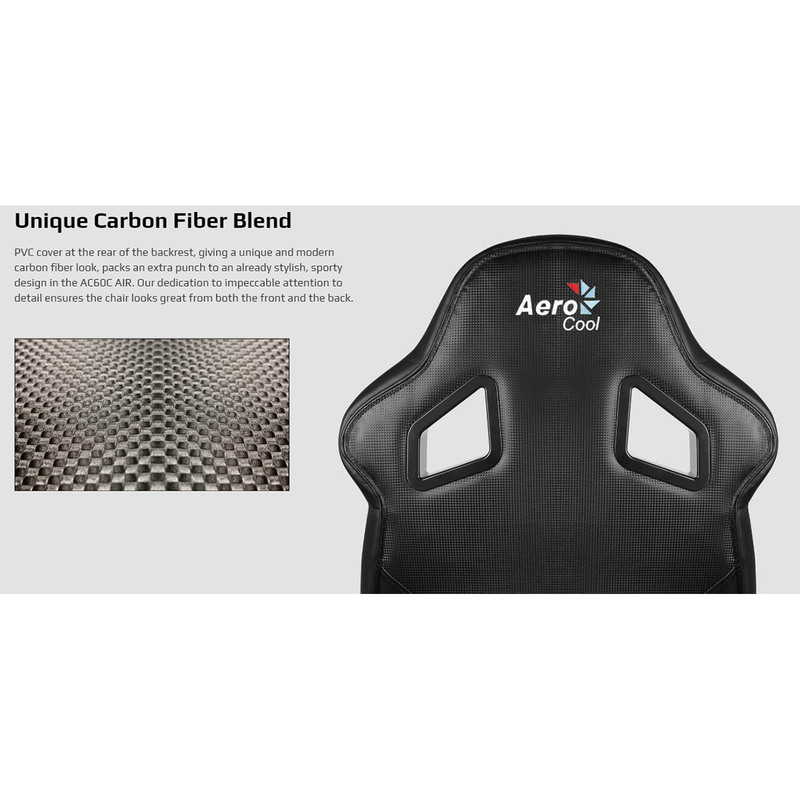 Inspired by racing seats, the AC60C Air was designed to let you game in maximum comfort and style simultaneously. 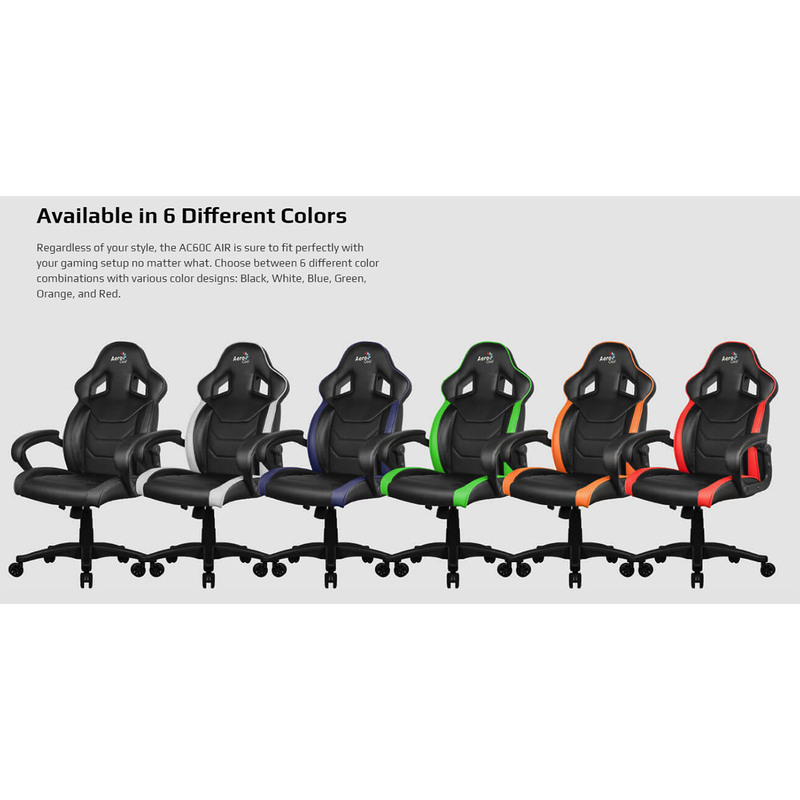 The chair�s rocking mechanism and cushioned armrests allow you to be at complete ease while you game, giving you a far more enjoyable gaming experience. 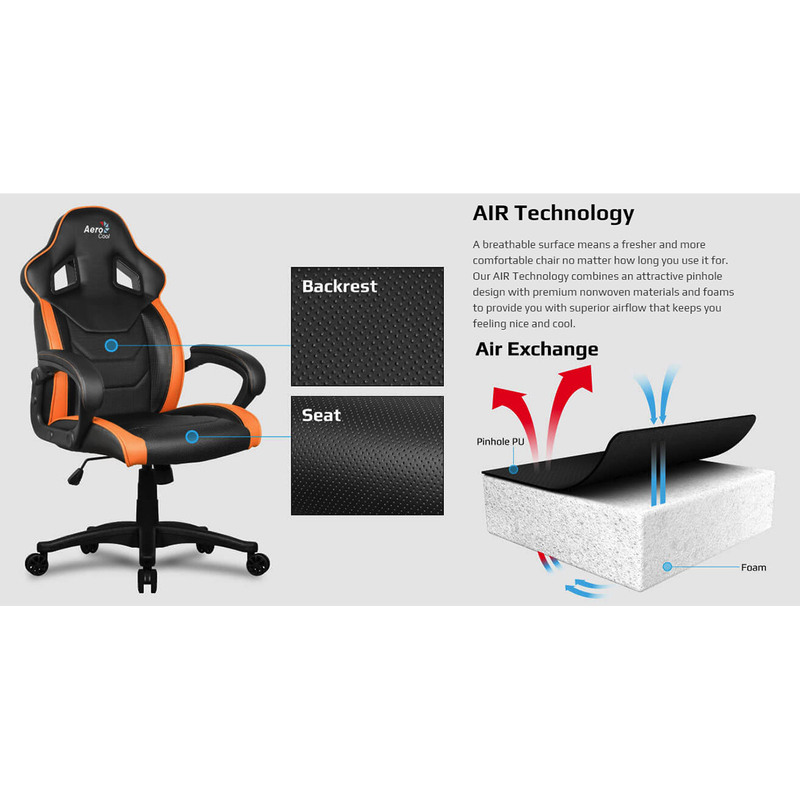 With Air technology material in the sitting surface and backrest allowing for increased breathability and air circulation, you�ll be sure to stay comfortable and cool even after long gaming sessions. 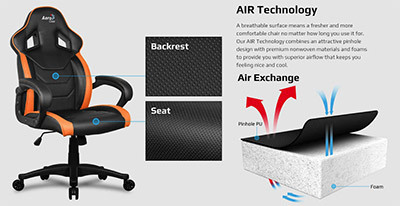 Air Technology - A breathable surface means a fresher and more comfortable chair no matter how long you use it for. Our Air Technology combines an attractive pinhole design with premium nonwoven materials and foams to provide you with superior airflow that keeps you feeling nice and cool. Available in 6 Different Colours - Regardless of your style, the AC60C Air is sure to fit perfectly with your gaming setup no matter what. 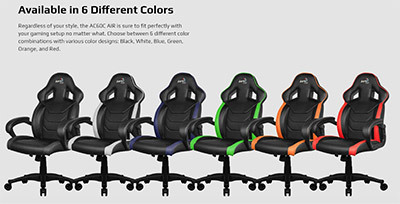 Choose between 6 different colour combinations with various colour designs: Black, White, Blue, Green, Orange and Red. 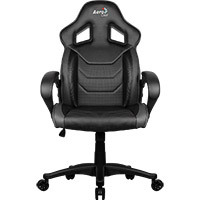 Superior Ergonomics - With top-of-the-line ergonomics and a stylish design, the AC60C Air isn�t merely a comfy office chair, it has everything you could ever ask for in a bona fide gaming chair. 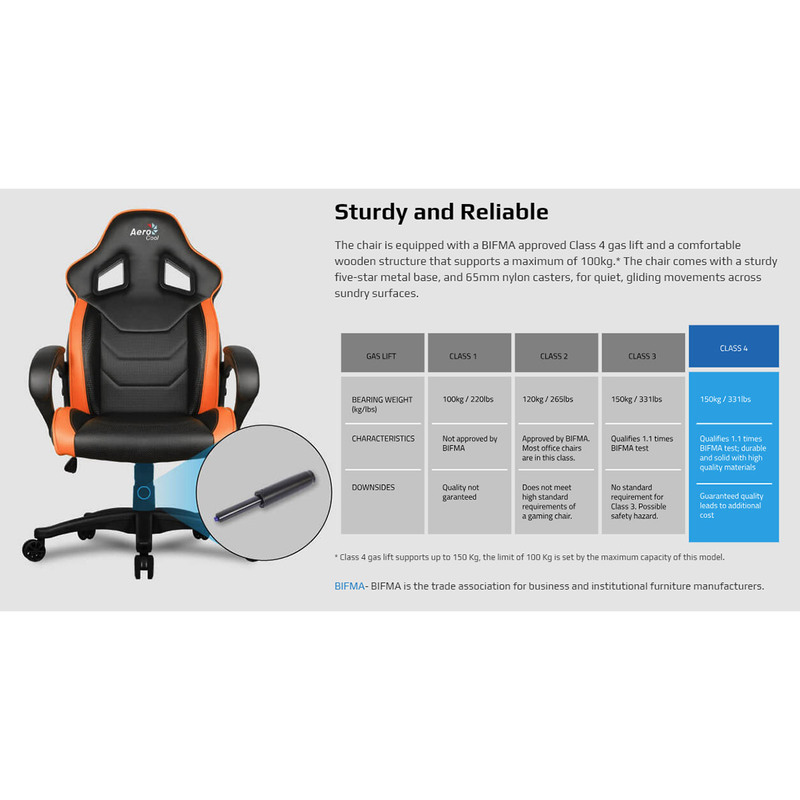 Stylish, Adjustable Design - Soft, cushioned armrests, with solid cold foam padding, provide additional comfort and support for your arms. The modern, curved design of the armrests as well as matching coloured seams make for a elegant and stylish look. 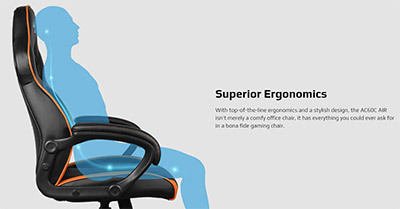 The armrests are locked in together with the seat area and backrest, increasing overall stability of the chair. 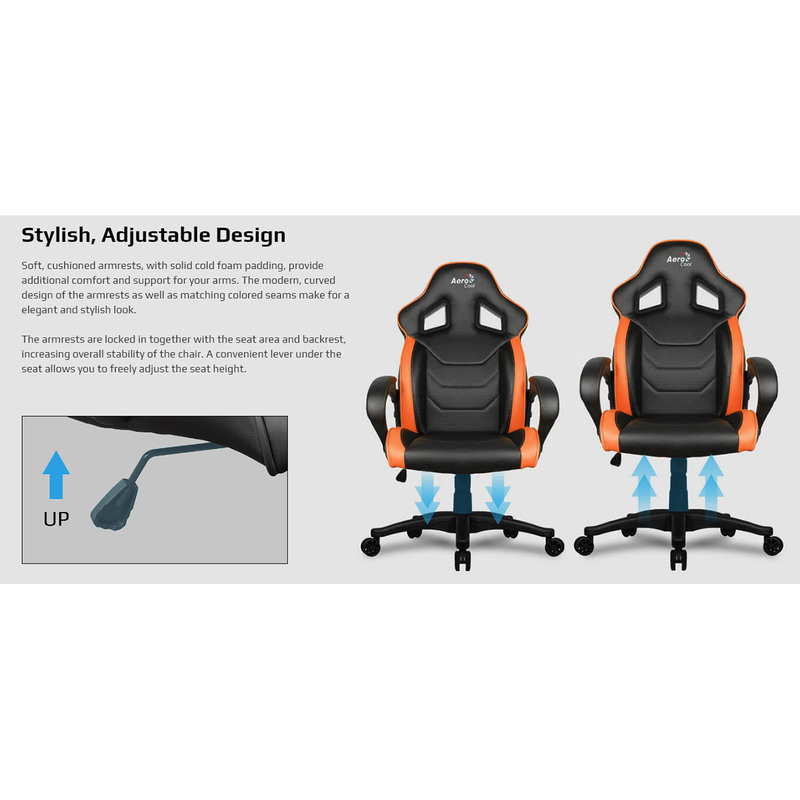 A convenient lever under the seat allows you to freely adjust the seat height. 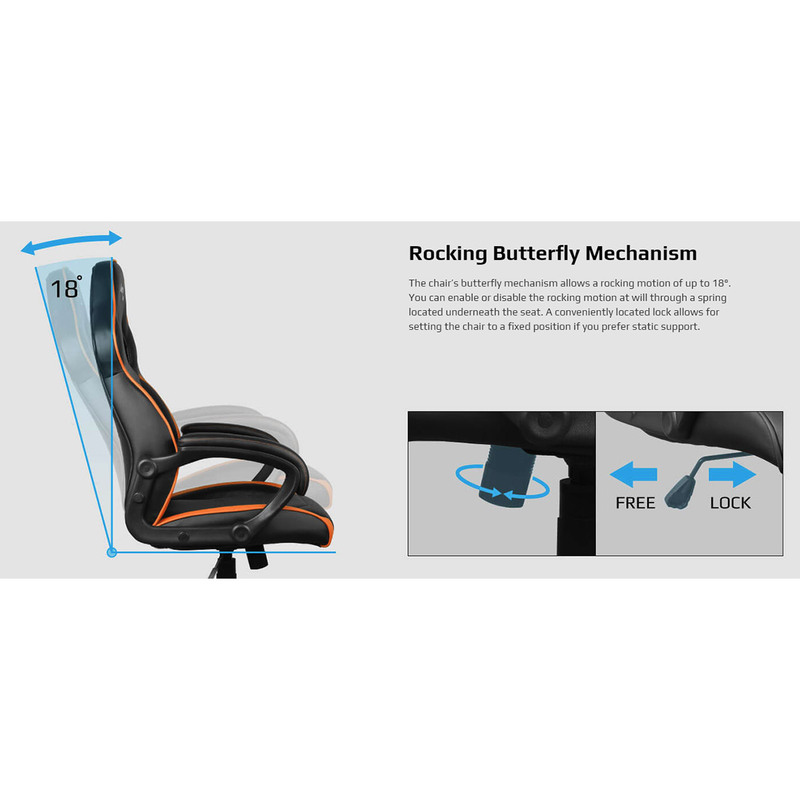 Rocking Butterfly Mechanism - The chair�s butterfly mechanism allows a rocking motion of up to 18�. You can enable or disable the rocking motion at will through a spring located underneath the seat. A conveniently located lock allows for setting the chair to a fixed position if you prefer static support. Unique Carbon Fibre Blend - PVC cover at the rear of the backrest, giving a unique and modern carbon fibre look, packs an extra punch to an already stylish, sporty design in the AC60C Air. Our dedication to impeccable attention to detail ensures the chair looks great from both the front and the back. 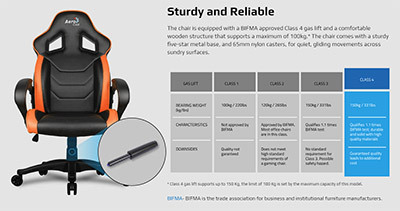 Sturdy and Reliable - The chair is equipped with a BIFMA approved Class 4 gas lift and a comfortable wooden structure that supports a maximum of 100kg. * The chair comes with a sturdy five-star metal base and 50mm PU casters, for quiet, gliding movements across sundry surfaces.